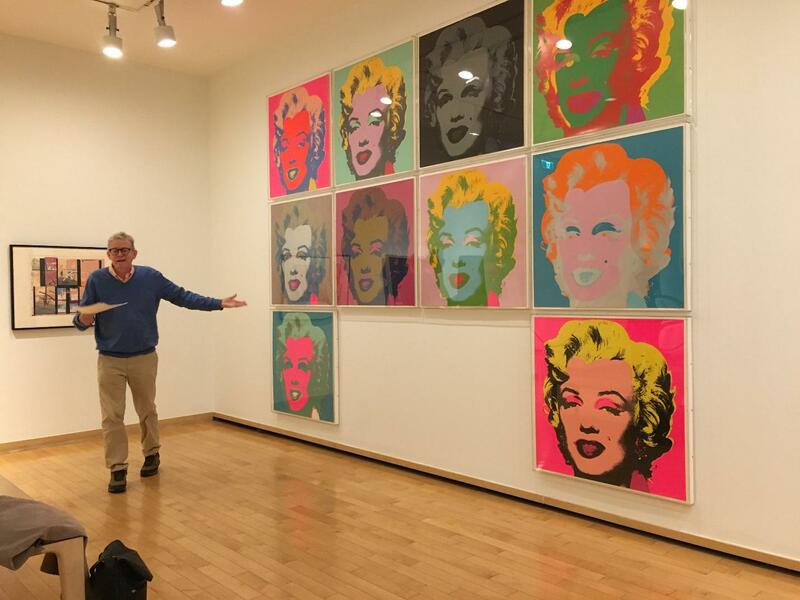 “Looking at other people’s art and thinking about other people’s art and putting it in exhibitions gave me pleasure and hopefully gave some other people pleasure,” said Ian Thom, former Senior Curator-Historical of the Vancouver Art Gallery. Thom spoke with the Other Press in an interview about the new Art Gallery exhibition “A Curator’s View: Ian Thom Selects,” which is filled with about 90 works that are selected favourites of Thom. He retired after 30 years of working at the gallery since 1988 and the pieces he chose span over two centuries. Initially walking into the gallery, I was immediately overtaken by the distinct smell of wet paint. The Art Gallery is ever-changing, expanding, and clearly always preparing for the next big thing. Thom’s gallery, however, is located on the fourth floor. Starting in the final room, I took in my surroundings. Marilyn Monroe pop art, human-shaped sculptures laying dead and hanging from the walls, and paintings of torture devices all caught my eye. The piece that stood out to me the most was The Heretic’s Fork by Leon Golub. The painting is completely unique and eye-catching because the message, colours, and everything about it is uniquely dark in comparison to the other works in that room. The heretic’s fork is a medieval torture instrument that was strapped to its victim in such a way that they would be pierced if they moved. It was intended to hurt only heretics and leave true believers unharmed—but unsurprisingly, said Thom, most who were tested against it were found guilty. It is inspiring to see that even when someone may seem as though they’ve given up, they have simply opened a door to another exciting opportunity for themselves.